The EcoBoost-powered, all-wheel-drive 2020 Ford Police Interceptor Utility will be the fastest police vehicle in America when it arrives on the market next summer. According to tests conducted by the Michigan State Police, the 3.0-liter EcoBoost V6-equipped Police Interceptor Utility with all-wheel drive posted the fastest 0-60 mph time, fastest 0-100 mph time, fastest lap, fastest average lap, and a top speed of 150 mph. What’s more, the Police Interceptor Utility hybrid, which is expected to deliver 24 combined mpg and thus save up to $3,500 per year for police departments in terms of fuel savings, topped all competitive SUVs with the fastest 0-100 mph time, fastest lap, and fastest average lap. The hybrid also boasts a 137-mph top speed, making it more powerful than competing V8-equipped SUVs and more powerful than the outgoing Police Interceptor Utility equipped with Ford’s 3.7-liter V6. 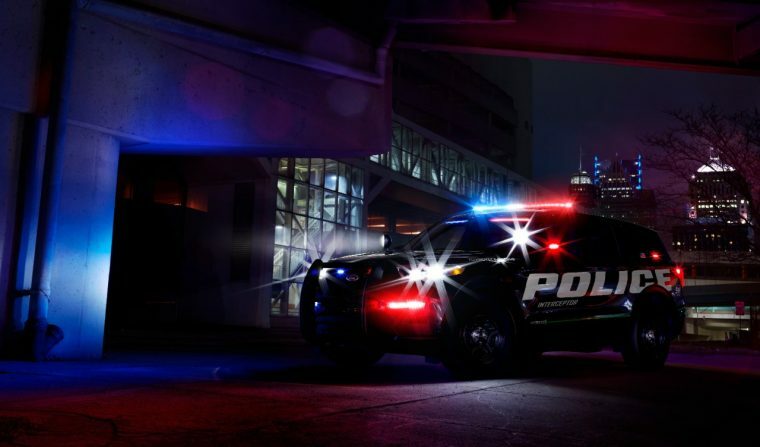 “The all-new 2020 Police Interceptor Utility offers significant potential fuel savings with no trade-offs in safety, passenger or cargo space — on top of bringing improved performance,” said Stephen Tyler, police brand marketing manager for Ford. Available to order now, the 2020 Police Interceptor Utility boasts $2,000 in additional standard equipment over the outgoing model. Two years of Ford Telematics come complimentary with purchase, LED high- and low-beam headlamps feature integrated wig-wag capability, and a Class III trailer-tow bar enables the SUV to tow up to 5,000 pounds when necessary. Sales of the Ford Police Interceptor Utility are up 2.7 percent through September with a total of 25,454 vehicles delivered. According to Ford, the Police Interceptor Utility is the top-selling police vehicle in America, representing more than half of all LEO vehicle sales in 2017.